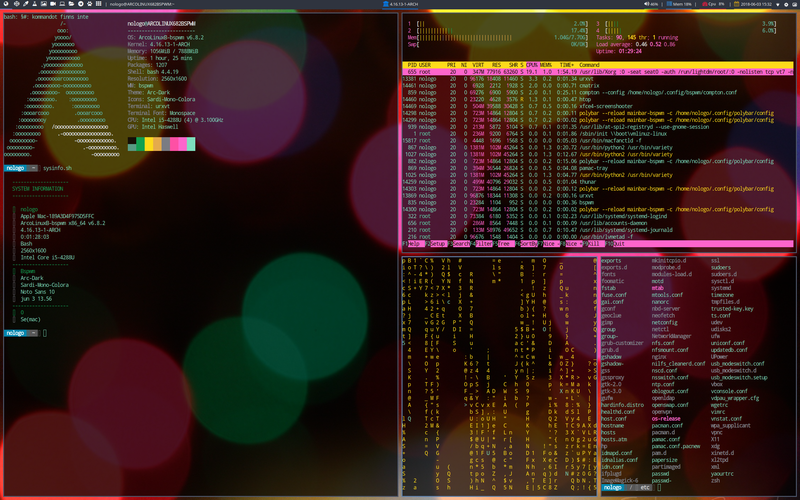 Do you want just the core install of Tiling Desktop Bspwm? Use mintstick to burn your ISO. Use Mintstick to make your ISO in this case ArcolinuxB – xfce, to the USB. Follow the usual recommendations to disable secure boot in windows. My personal choice for as specific Linux distro has been an interesting journey. My personal taste when it comes to choosing Linux distribution is and will be ArcoLinux. I have tried many distributions of those out there, including the bases that underlie the various variations. So why ArcoLinux? One question to ask is, what to have Linux for? 1. Fast: It’s fast, both on startup and when I work in it. 2. Easily managed: I want an easily managed Linux Distro that I can shape as I want. I want a Swiss knife in a Linux shell. 3. Logical: Logically structured in interface/GUI and logical to use. 4. My own base: I want to influence the packages that come from the start. 5. Support: I find it easy to search for errors and find them. I want the support to be excellent and the people you talk to are nice. 6. Release: I want the distribution to continue to develop and not stand still, and it’s a rolling release. 7. Stable & Security: I want it to be able to fix if PC crashes, and be able to save data. And very important thing is, that it should be stable (as a rock, since about 1 year now). 8. GUI: Neither wrong if the interface is nice to look at. 9. Mac Book Pro: And it will suit my Mac Book Pro. 10. PLUS: That distribution supports many desktop variants is also a big plus if you want to test yourself in the different environments. I started with XCFE and have now landed in Bspwm. The team are spreading a nice feel of having a good time developing and having fun, and are curious about almost anything around Linux. And are Very helpful. ArcoLinux Team I salute you! I hope you will drive this amazing Disto for a long time to come! Good bye XFCE Welcome Bspwm! Thanks team ARCOLINUX for making this happen! Even though I have chosen Firefox as the default browser, Vivaldi comes up when I click on a link in Pamac. Search for Vivaldi, “find and replace” vivaldi and add firefox. The days of standards compliant chat protocols is gone. The age of federated messaging services seems to be over, with WhatsApp, Viber, Telegram, Wire, Allo, Skype, Facebook Messenger, WeChat, and countless others opting to “own” the entire experience. Apple uses csrutil to harden your MacOs. File hierarchy – Linux wtf? Log files – where are the logs? Thunar not showing thumbnails of images? nologoreally Create a free website or blog at WordPress.com.